It is important that we take care of our health during festive season. Chaitra Navratri is just around the corner and begins from 6th April 2019 and would go on till 14th April 2019. Navratri is one of the most widely celebrated festivals of India. During Chaitra Navratri, people refrain from eating non-vegetarian food and food prepared using onion and garlic. The variety of food items that you can prepare and munch during Navratri fasting is limited. Sternly vegetarian meals are arranged without any garlic or onions and people steer clear of alcoholic drinks. However, fasting does not mean you have to eat the same food every single day. > Coconut and Coconut Milk Preparations: Coconut flakes, coconut flour and coconut milk can be good mates through your abstaining routine. Coconut can be used in the making of a variety of dishes. Make coconut crepes and pancakes using coconut flour to enjoy a healthy Chaitra Navratri. > Dry Fruits, Seeds and Nuts: Look past almonds and walnuts. Dates, raisins and dried apricots all make for good munching options in this festive season. Dried fruits can be heavy if eaten in large quantities. > Milk and Milk Products: Various milk and milk products can be considered as a healthy choice to eat in this Navratri season. Milkshakes made with fruits can be filling while keeping you hydrated. Milk and milk products keep you light, fresh and the chewing action will make you feel satiated for longer. So, you can consider the above few tips to enjoy a healthy Chaitra Navratri. Miraculous healthy Benefits of drinking milk. 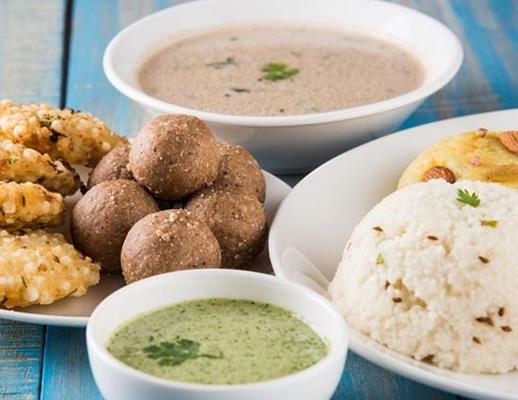 How to Keep Your Weight in check this Navratri?